The term 'conspiracy theory' invokes certain reactions. It tends to stir true believers, the skeptically cynic and a few demographics in between. On the one extreme, we have people all too willing to accept unsubstantiated claims as factual. Obvious enough. The other extreme consists of people proudly proclaiming they do not subscribe to c-theories of any shape or size. This demographic tends to dismiss all conspiracy theories as fodder for the delusional while often selectively omitting confirmed conspiracies from discussion. Perhaps extreme perspectives are often poorly conceived. A well balanced middle ground might provide a more rational and productive approach to examining information. That doesn't sound so delusional to me. As a matter of fact, it sounds much more like common sense. If the anti-conspiracy demographic is trying to communicate that it doesn't accept wild claims without supporting evidence, then I'm on board. If, however, some people literally deny the validity of any conspiracy theories, I must adamantly disagree. Following are just a few examples why. What would you do if I told you the PTB were controlling significant segments of the news and media? Roll your eyes? Suspend judgment? Or would you say, 'yeah, I knew that'? The report went on to document that Senator Frank Church criticized such operations. He noted that the CIA was spending an estimated $265 million per year of taxpayers' money to misinform them. Completely old news? Not so fast. In much more recent years, The Washington Post reported that intelligence officials acknowledged paying media outlets to allow them to plant stories in efforts to shape political views and control opinions. It has since become public knowledge that state-sponsored information operations regularly include the distribution of thousands of military-authored stories per year to mainstream media outlets, and The New York Times reported that consultants working for military contractors are routinely misrepresented to be objective analysts of military operations. The Guardian informed us that “sock puppet” software allows a single U.S. soldier to covertly control multiple separate Internet identities so they can, basically, troll louder and faster than adversaries while distributing propaganda. It just doesn't happen to be a classified conspiracy anymore. Neither can we any longer spend as little as 265 mil to get misinformed. It now costs us a whole lot more to be misled. The Federal Bureau of Investigation began Counterintelligence Program, or COINTELPRO, in 1956 in order to survey, infiltrate, discredit and disrupt domestic political organizations. As suggested, the operation largely broke the laws it claimed to uphold and abused the citizens it claimed to protect. 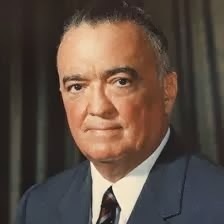 The public learned of the operation in 1971 after the Citizens' Commission to Investigate the FBI broke in to a Bureau field office in Media, Pennsylvania. Files were obtained, copied and delivered to news outlets documenting that the FBI infiltrated such groups as the Socialist Workers Party, Ku Klux Klan and Black Panther Party. Objectives included intentionally creating dissension within and between the groups, inciting violence and similar disruptions. No writer worth their keep could address confirmed conspiracies without referencing the CIA mind control venture, Project MKULTRA. The efforts of researcher John Marks resulted in the release of FOIA docs and contributed to Congressional hearings during the 1970's that revealed a 25-year CIA effort to control the human organism. The operation included the exploitation of involuntary human research subjects who underwent experiments involving the administration of drugs, hypnosis, torture, psychological conditioning and combinations thereof. Project MKULTRA was a primary component of the effort in which funds were covertly funneled through nonprofit foundations in order to finance some 149 known sub-projects. Research and experiments were conducted at over 80 facilities including - but not limited to - military bases, prisons, hospitals, universities and even CIA funded and operated brothels. Several lawsuits spanning many years resulted from such circumstances as the death of CIA man Frank Olson, the abuse of psychiatric patients at the Allan Memorial Institute of McGill University and research called “terminal experiments” in which methodology included loss of human life. Numerous court judgments have subsequently been issued against the CIA, Department of Defense and associates, the latest of which occurred in July on behalf of Vietnam Veterans of America. As writer/researcher Mark O'Connell wrote about at his blog, High Strangeness, the Air Force then continued developing an aspect of electronic warfare known as electronic countermeasures, or ECM. 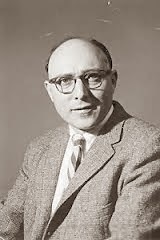 Chemical engineer, scientist and Manhattan Project participant Dr. Leon Davidson explained in a work titled, ECM + CIA = UFO, by 1950 ECM was standard equipment on advanced bombers. The technology soon evolved into providing “simulated targets for training radar operators,” or, in other words, false radar paints. Whether or not Davidson was entirely correct, ECM research and development indeed culminated into Project PALLADIUM. In a 1998 report titled, Stealth, Countermeasures, and ELINT, 1960-1975, CIA man Gene Poteat explained how the project worked. Teams consisting of intelligence personnel and military support would calibrate and inject false targets onto radars. Phantom aircraft of whatever size desired could appear to travel on any flight path at any speed and altitude. The capabilities were combined with planned release of unusual aerial objects, similarly to how Project Grudge had foreseen in 1949, and one particular operation was conducted off the coast of Cuba during the missile crisis of 1962. The report explained how the coordination of PALLADIUM equipment and strategically placed personnel baffled the enemy, and descriptions might ring more than a few bells with UFO buffs. The CIA, NSA and DoD apparently found it advantageous as early as the mid 20th century to create false UFO incidents. Similar options were included in the IC bag of tricks until at least the 1980's, as documented by Mark Pilkington in his book, Mirage Men. It turns out the U.S. government, specifically the NSA and associates, actually were eavesdropping and intercepting email after all. You may have heard about it. If not, you can research that one yourself. Be advised that you might choose to save some credible sources, because a few years from now people will be saying things like, "If that really happened, wouldn't some of them have been arrested?" Neither side of a debate is absolved of responsibility to do its homework and conduct competent investigation when further research is justified. Let us not forget that premature conclusions, either supporting or negating reasonable theories, can each be found on different sides of the same coin of bias. Let us support efforts to conduct credible research with sincere intentions, allowing the data a chance to speak for itself. People do lie. Intel agencies do conduct classified operations. That is not delusion, but realism. What we must guard against is taking the mounting - and at times justifiable - distrust of the government and confusing it with evidence that any given conspiracy theory is founded. That is not always the case, but neither should reasonable possibilities be dismissed out of hand. Sometimes there are conspiracies, and if no one ever investigated the possibilities, we would never have heard of some of the circumstances described above. Sometimes a covert but influential organization is responsible for a circumstance or event – and when it is competently researched and proven, a conspiracy theory becomes a matter of historic record. Regression hypnosis has long been used during investigation of alleged alien abduction. Some have made up their minds that the activity provides reasonable evidence. For them, there is no amount of expert opinion or scientific research contradicting their belief that can motivate sincere review of the circumstances. Even the words of warning from former hypnosis subjects, lengthily explaining firsthand how its ill effects and misuses can be harmful, fail to inspire objective evaluation of the use of hypnosis as a mythical truth serum. Much has been learned of memory functions, potential dangers of regression hypnosis and related issues since researchers first began hypnotizing self-described experiencers in hopes of uncovering hidden memories. However, many investigators continue subscribing to the now decades old concepts while the professional research community has long since updated its understandings. If you are sincerely interested in reviewing facts surrounding regression hypnosis, including taking into consideration some opinions of qualified experts and documentation of relevant circumstances, please continue reading. The fact of the matter is the professional research community has never established hypnosis as an effective investigative tool or a reliable memory retrieval technique. The American Psychotherapy and Medical Hypnosis Association released statements clarifying its members should not inaccurately represent the stance of the American Medical Association on such matters. "The American Medical Association (AMA) is concerned that many individuals using hypnosis may be making the inaccurate statement that hypnosis is approved by the AMA as a legitimate therapy for medical or psychological purposes," the APMHA explained. "The AMA has a current position that this statement is inaccurate." The AMA clearly does not recognize or define hypnosis as approved for use for medical or psychological purposes. That would of course include subjecting traumatized individuals to the exploration of the possibility they are regularly abused by perpetrators from other planets, to say the least. It should be further understood that significant portions of the UFO community itself came to accept and agree with policies as established by the AMA. The British UFO Research Association (BUFORA) enacted a moratorium in 1988 on the use of hypnosis, and the policy continues to remain in place. Across the water in America, researchers of alleged alien abduction nonetheless continued and increased their uses of hypnosis. Purposes could reasonably be interpreted to include it was identified as the easiest way to create evidence for what were otherwise largely unsupported claims and theories. In other words, researchers could not prove their assumptions through professionally recognized credible means, so they resorted to hypnosis and what writer/researcher Sharon Hill coined sham inquiry: nonscientific activities conducted and misrepresented as scientific investigation. The BUFORA moratorium on hypnosis is referenced and relevant issues are explored in the Heather Dixon article, Alien Abduction, Hypnosis and Memory. The piece contains an interview with Judy Jaafar, a BUFORA investigator and researcher with some 20 years experience at the time of the interview. Ms. Jaafar is also a clinical hypnotherapist and psychotherapist who clearly and competently explained reasons hypnosis should not be used during the investigation of alleged alien abduction. Ms. Dixon referenced the work of Dr. Elizabeth Loftus. 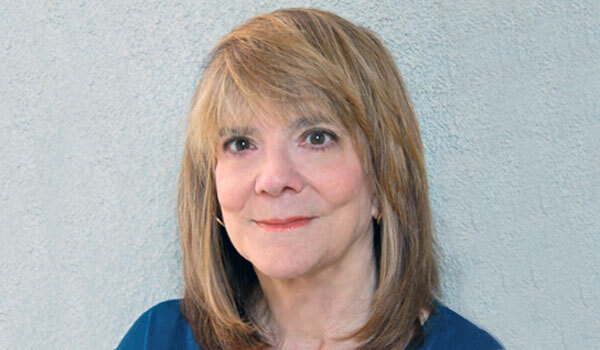 A renowned and leading expert on memory function, Dr. Loftus is an experimental psychologist with some four decades of outstanding research to her credit. She is the recipient of six honorary doctorates in addition to numerous awards, including the American Psychological Foundation prestigious 2013 Gold Medal Award for Life Achievement in the Science of Psychology. Dr. Loftus was granted the honor due to her extraordinary contributions to the understanding of memory. Her work documented and conclusively demonstrated how methods of questioning witnesses affected their memories. She conducted literally hundreds of experiments detailing how post-event information can become incorporated into memories and thereby distort recollections. Moreover, she demonstrated that entire memories can be manufactured of events which never actually took place. Such false memories, Dr. Loftus discovered, can most certainly affect later thoughts, intentions and behaviors. Part of the ongoing challenge experienced by many paranormal researchers is the misunderstanding that a memory remains indefinitely intact. It does not. Experts such as Jaafar and Loftus inform us that memories of past events, actual or otherwise, are embellished, change over time and are constructed depending on complicated factors such as personal conditioning. Memory is not a solid, tangible concept or function, but a complex and ever changing mental landscape, subject to virtually infinite terms and conditions. Solid investigation and credible research are still required to establish a fact. Virtually no matter what someone says, under hypnosis or otherwise, verification remains in order. BUFORA may have been among the earlier segments of the UFO community to urge consideration that ceasing the use of hypnosis was in the best interests of the witnesses and finding the truth, but it was not the only segment. Jeremy Vaeni and Jeff Ritzmann much more recently did a series of podcasts and articles on the misuses of regression hypnosis, particularly as it related to the Emma Woods case and as handled by David Jacobs. 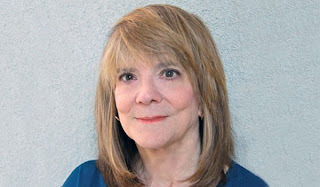 Carol Rainey subsequently wrote an article, The Priests of High Strangeness: Co-Creation of the “Alien Abduction Phenomenon”. The unfolding chain of events could well be considered among the most relevant shake ups and doses of actuality to hit the alien abduction genre in a long, long time. Moreover, it was initiated not by card carrying skeptics, but individuals with histories of being quite willing to entertain the feasibility of reported high strangeness. Vaeni, Ritzmann and Woods presented conclusive documentation of what were - at absolute best - extreme lapses in judgment on behalf of Jacobs. Hurtful and damaging circumstances to Woods included dozens of hypnosis sessions conducted via telephone by an untrained hypnotist, Jacobs, resulting in perceptions she was being repeatedly raped and stalked by ET-human hybrids carrying out conspiracies of grand proportion. Among the more damaging – and documented – occurrences included Jacobs, who is a historian (not a medical doctor or mental health professional), speaking to Woods while she was under hypnosis about circumstances related to her suffering from Multiple Personality Disorder. "I'm going to count from five to one, and just remember now, my diagnosis is that this is Multiple Personality Disorder, and you should take medication for it," Jacobs was quoted suggesting on recordings of the hypnosis sessions. "I have seen lots of cases of MPD, and this absolutely fits the MPD profile. And my professional diagnosis therefore is Multiple Personality Disorder." We are somehow apparently expected to accept that such instructions and suggestions, administered under hypnosis, were rationalized by Jacobs to be part of investigating alien abduction. It was also later suggested that such statements somehow have something to do with Jacobs obtaining oral histories. Additional extremely questionable methodology undertaken by Jacobs included informing Woods at length and while hypnotized of what other abductees were reporting. Jacobs would then question the woman about her experiences. It should be noted and emphasized that this is specifically the type of activities researchers such as Loftus, as well as many others, conclusively demonstrated alter the statements of the witness. The website of Emma Woods should be explored for details, copies of taped hypnosis sessions with Jacobs and similar documentation. 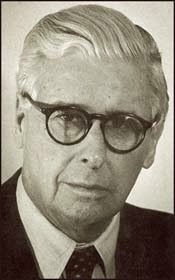 Rainey documented and published circumstances indicating that both Jacobs and now deceased researcher Budd Hopkins, whose work gained wide popularity in UFO circles, should have their amateur hypnosis practices called into much greater question than was often the case. In addition to publishing written content, Rainey established a YouTube channel, videos from which are displayed in The UFO Trail sidebar. Rainey demonstrated that Hopkins and his colleagues were sloppy in their investigative procedures, including intentionally presenting evidence in misleading manners while falsely claiming to follow strict guidelines. For their efforts, the four – Vaeni, Ritzmann, Woods and Rainey – were largely alienated and at times viciously personally attacked. They were banned from participating and defending themselves and their work on various email lists, online discussion forums and related websites. 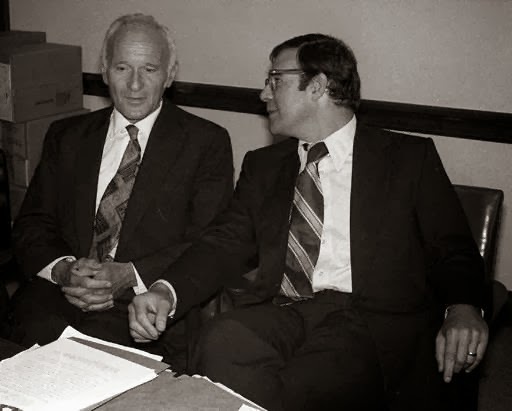 Meanwhile, organizations such as the Mutual UFO Network continued to provide venues for both Jacobs and the promotion of hypnosis as an investigative tool while leading the public to believe it represented scientific research practices. It is worthy of consideration that Vaeni, Ritzmann and Woods are each self-described experiencers of high strangeness. As in the case of BUFORA personnel, they are not individuals who regularly partake in stubborn and incessant debunking of UFO-related reports. Quite the contrary. Similarly, the work of Rainey is not that of a person attempting to unreasonably disprove one thing or another. It is much more evident that she is urging the use of careful and thoughtful methods of data collection and analysis. Actually, it is clear that Rainey has not suggested in her work that there is necessarily nothing of interest within reports of high strangeness, but that quality investigation is the path to identifying what facts may or may not exist. I interpret a large part of her point is that researchers reap what they sow; professional research protocol - or sham inquiry - bears corresponding results. Although a less discriminating and prematurely convinced portion of the UFO community lashed out at the group, others recognized the significance of the work presented. While some chose to think Vaeni and company were unreasonably attacking the credibility of beloved ufology icons, others acknowledged and appreciated they were presenting documentation that self-described experiencers were being exploited for reasons including the manufacture of supposed evidence. 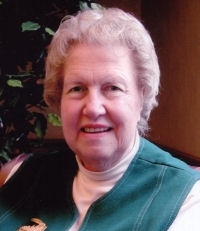 Rainey indicated she was contacted by multiple well known UFO investigators who recognized the significance of what she presented and, although they were not willing to publicly express their support, they thanked her for exposing the truth about circumstances taking place within research of alleged alien abduction. Such behind the scenes support has been encountered and observed on other occasions by The UFO Trail. High profile members of the UFO community at times support lines of research and hold perspectives they choose not to voice publicly. Reasons include fear of alienation from peers and decreasing their popularity among a public often unwilling to tolerate investigators not actively promoting belief in an alien presence. Kevin Randle, however, was willing to speak out. In a series of blog posts published February 7, February 18 and February 26 of 2011, he confirmed the validity of Rainey's information challenging Hopkins' assessments of an alleged 1963 UFO crash at Santa Rosa, New Mexico. Hopkins was funded by ufology philanthropist Robert Bigelow to conduct an investigation that Rainey - and subsequently Randle - conclusively demonstrated to be, at best, poorly executed and, at worst, intentionally misleading. Moreover, Randle noted how Hopkins' response to Rainey's work contained smear tactics while lacking objective facts. Qualified experts such as microbiologist Dr. Tyler Kokjohn and psychologist Dr. Scott Lilienfeld volunteered opinions and consultation services on matters related to the investigation techniques typically employed. Dr. Kokjohn continues to educate the public about the many credible ways researchers of alien abduction could collect data and scientifically test their hypotheses if they were so inclined. Such methods include but are not limited to forensics and DNA testing which could reveal a great deal of information long after the alleged fact, or reported encounter. Bloggers Gary Hayden and Douglas Mesner, among others, wrote extensively and competently on the matters. The UFO Trail was inspired to publish material as well, including The Bizarre World of Doctor David Jacobs: An Interview and Review. Parts One, Two and Three contained an interview with Jacobs followed by review published by and obtained from qualified experts. Sociologist Ted Goertzel, for example, demonstrated that not only had individuals been willing to provide peer review which Jacobs had long claimed was withheld by a scientific community unreasonably ignoring his work, but that in actuality Jacobs scrupulously avoided participating in any such peer review. Meanwhile, some 50 years after the Hills were first subjected to hypnosis, some 25 years after BUFORA suspended the practice, and some 20 years after Hopkins gained popularity touting unsubstantiated stories obtained through hypnosis, American hypnotists continue to promote unsupported claims and stand by their hypnosis-based assertions. Dolores Cannon claims absolutely extraordinary circumstances, details of which could be relatively easily tested any number of ways if she cared to do so. Her assertions include alien intervention and resulting changes in humans at molecular levels that, among other things, eliminate disease. She practices something she calls “Quantum Healing Hypnosis Therapy,” an activity she states causes “strange and often inexplicable results.” Not to be limited or restricted by what was termed on her website "disciplinary stigma," Cannon purports to help clients access extraordinary information through hypnosis. Barbara Lamb conducts hypnosis in Southern California where she claims to have developed personal relationships with a few ET-human hybrids, circumstances that, according to her emails and presentations, were discovered via hypnosis sessions with the individuals. It would seem that more people might consider the probability that the techniques employed produce the perceptions experienced, as opposed to the likelihood Lamb happened to have numerous unknowing hybrids converge upon her for services. One way or the other, and as in the cases of Cannon and Jacobs, any number of cost effective medical examinations could shed more light on Lamb's assertions, yet she continues to execute no such research. She presents alleged claims obtained under hypnosis from anonymous people, offering no documented evidence of what would be among the most extraordinary circumstances ever recorded. “For decades the employ of hypnotic regression was the go-to tool of abduction research. Books were written solely upon the hypnotic recall garnered by researchers through the use of hypnotic regression. When I first began talking about the potential dangers and blatant inaccuracies of hypnosis more than a decade ago, I got severe pushback. But none so vehemently as when Jeremy and I did the Paratopia episodes involving Dr. Scott Lilienfeld, Emma Woods, and Deb Kauble, which squarely showed the facts in practical application about hypnosis as a tool for recovering memory – that it’s useless, flawed, and being misused by uneducated and untrained researchers who are not aware of the limitations, nor it’s inaccurate nature. In short, if it was hypnotically recalled it was highly suspect. Prone to confabulation, leading questions, pleasing the therapist, cultural contamination and the fallibility of memory…and a host of others – not to mention the experience itself being on the edge of perception and inexplicably weird (outlier data). “The pushback from the proponents of hypnotic recall was substantial and swift – because it completely negated hypnotically recovered 'research' (and I use the term loosely) already done. Books had been written, hypotheses laid out in print and lecture, and whole ideologies and belief system foundations were built upon this now known faulty recall, obtained with a tool that was never accurate to begin with. This was research paradigm changing data and information about a long practiced and potentially dangerous procedure. Data that might have given the ability to hone down to the core of the actual experience by only taking into consideration direct recall experiences. I might add, that even though the points were made and proven on Paratopia, and direct evidence of inappropriate behavior and downright dangerous practices exposed – hypnotic retrieval is still in widespread use. The actions of David Jacobs show us the harm that can take place when unqualified individuals decide themselves entitled to dig around the unconscious mind seeking otherwise largely nonexistent evidence. The circumstances also demonstrate that not only is the methodology questionable, but the motives of those who practice it should be reasonably evaluated prior to giving them permission to go on a mental alien hunt. Disturbing circumstances befell Leah Haley and some 139 other people when they sought assistance and support from MUFON and its then director of abduction research, John Carpenter. In a chain of events that continue to present more questions than answers and became known as the Carpenter Affair, Carpenter spent years during the 1990's hypnotizing the individuals while secretly receiving financial compensation from Robert Bigelow. In return, Carpenter, a Missouri social worker, provided Bigelow and his associates with case file information of the 140 who sought his support. Exploited and betrayed clients of Carpenter felt humiliated and enraged when they learned of the circumstances. "That whole group just got away with it,” Haley previously told The UFO Trail with disappointment. She has now come to the conclusion that information obtained via hypnosis cannot always be trusted for accuracy, and neither can those who administer it. Experts Jaafar and Loftus tell us of the harm that can come from attempting to create and interpret images retrieved from the unconscious mind, as well as additional potentially detrimental circumstances typically taking place during regression hypnosis. Such harm is concerning, but perhaps most concerning of all is that we obviously cannot count on organizations or individuals who support regression hypnosis to provide objective and accurate assessments of the circumstances and potential dangers. This is in spite of their claims of doing so. It is clear that selective omission of relevant information, religious-like faith in the procedure and even intentional deception and exploitation should be anticipated among those who practice and promote the use of regression hypnosis during the investigation of alleged alien abduction.